Promotes controlled vivid lucid dreams! Inc. bonus binaural beat music track. Experience Vivid Lucid Dreams & Control Their Outcomes! 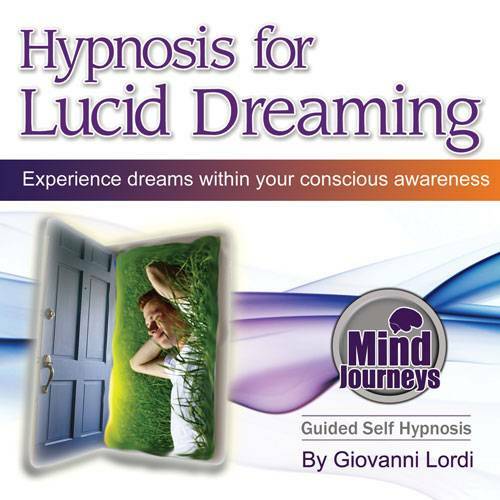 This is a 2 part audio program that will give the necessary tools & information to personally discover the amazing experience that is lucid dreaming. Learning this discipline can have many positive benefits in your life, as well as the satisfaction of pushing your mind & consciousness to phenomenal new levels. Identifying how you best dream - visually, imaginative, auditory, kinesthetic etc. This 40 minute track contains NO spoken voice - only the sounds of binaural beats (8Hz Alpha to 6Hz Theta), nature sounds & relaxing trance tones. You should listen to this track once you have used the hypnosis session for at least 1 week as a way to get your mind into the optimal state to experience lucid dreams. The frequencies will progressively entrain your mind into a specific theta realm conducive to experiencing lucidity. All you have to do is find a quiet place, sit back, put on your headphones, and let your mind become absorbed in the sounds. Lucid dreams are proven to follow. "Dream recall easy, lucid dream easy, natural to lucid dream, dream easy, I can, I will, dreams based on positivity"